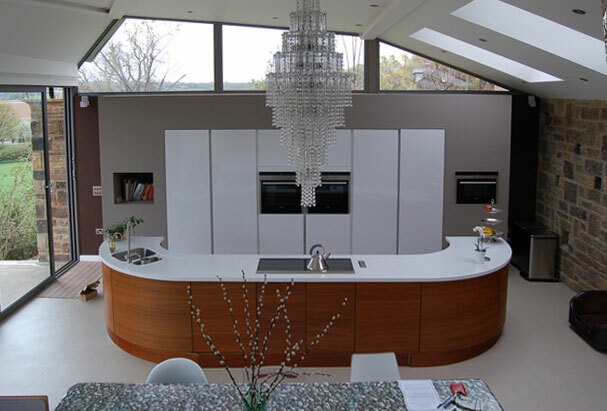 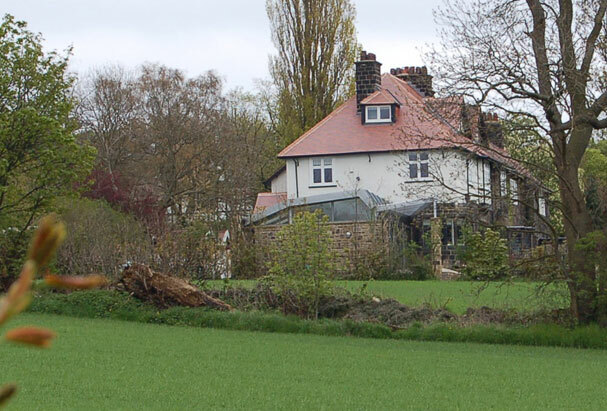 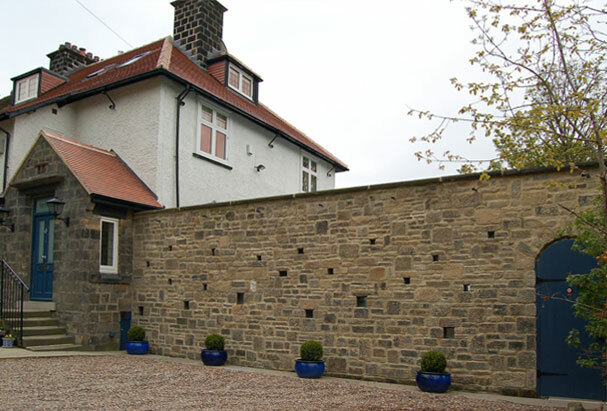 This large Edwardian semi detached house near Leeds has gained an ultra modern extension creating a multi purpose kitchen/ diner and day room spilling out onto the lavish gardens. 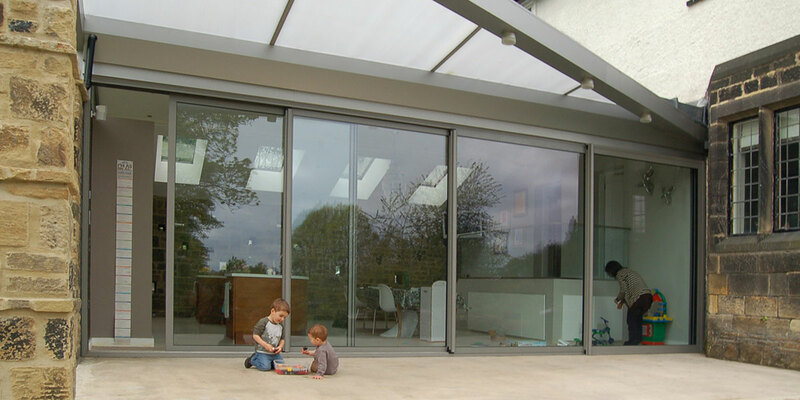 This extension provides a large, light, airy room – kitchen, play space, dining area all overlooking the south facing garden, a ’day space’ for the whole family. 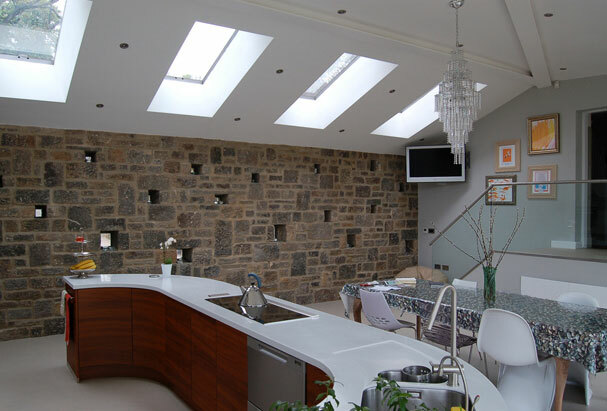 Steel frame, large glass panels, sliding doors, sheltered terrace, zinc roofing and exposed stone walls combine to form a simple yet effective space.